This number somewhat is a fair reflection of the power on a Kenyan Passport holder because it means for you to travel globally you need to apply for Visas to more than half the number of the 219 countries surveyed!. The Kenyan Passport ranks 5th on our list of the most powerful passports in Africa with 68 countries no visa required, the same as the Gambian Passport. i think our Ethiopian passport only takes hell! É curioso saber que o passaporte angolano não consta da lista dos 10 mais importantes e previlegiados de África, onde o critério principal é a isenção de vistos noutros países. Namibia cab travel to 85 countries visa free. .The person writing this is drunk. This is not true how about uganda ?The mos powerful country in military and investments in Africa .how can you leave Uganda out . This a lie! 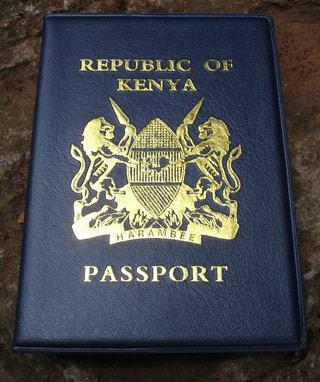 Recently Kenyan passport has gained powers we can now travel to 149 countries without visa. Where is Mozambique ranked in the list???? Minhanços só! !!! Bais information but but i could say its emotional build for some Countries in Africa…. If African passports are so powerful as you claim why are AFRICAN migrants crossing the Mediterranean to get to EUROPE paying up to USD 10.000 without using their passports. I m sure they could use the same money to apply for Visas and be left with spending money. Did you know that not a single African country is visa free to the USA,Australia, New Zealand etc…. Pls ooo bro, u no I was de first aferica country 2 agained independent! Tanzania’s can travel to 76 countries without a visa but is nowhere in this list. hhhmmmm……….such biased reporting! I wonder who writes these articles. Were is Ugandan passport ranked???? E o nosso? O passaporte preto com as letras douradas. República de Angola. Rwanda is not one of those African countries with a lot of requirements to get a VISA, By the way, Africans entering Rwanda, don’t have do ask for a VISA, from any country in this beautiful continent. NOTE THAT.